Are you a big IPL fan? Then you must be excited for the upcoming IPL2019, right? In that case, you already have made up your mind regarding which would be your favorite team this year. 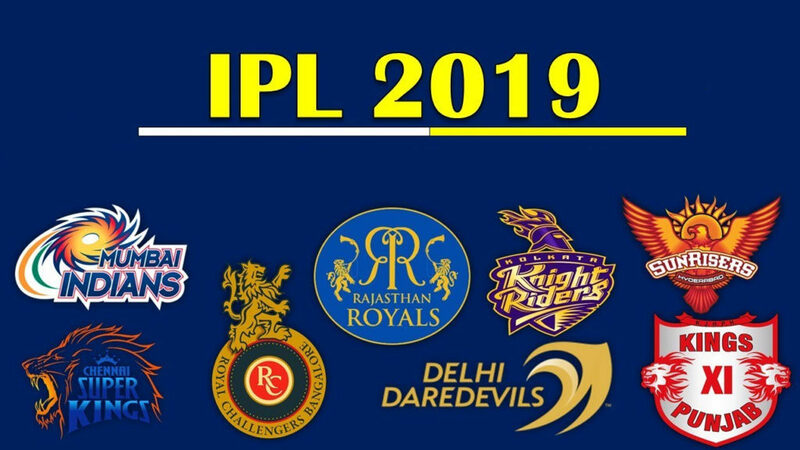 Like each year, IPL 2019 is here with 8 bang-on teams to rock! A total of 62 IPL matches are going to be held in the upcoming 3 months. The first match of IPL2019 is today on 23rd of March between Chennai Super Kings (CSK) and Royal Challengers Bangalore (RCB). The final is going to be on 12th May. So, are you ready for it? Here are all the details that you shouldn’t miss about ILP 2019! IPL2019 is all set to rock with 8 IPL teams. Do you want to know what the teams are and who the corresponding team players are? Let’s dive into the details here! 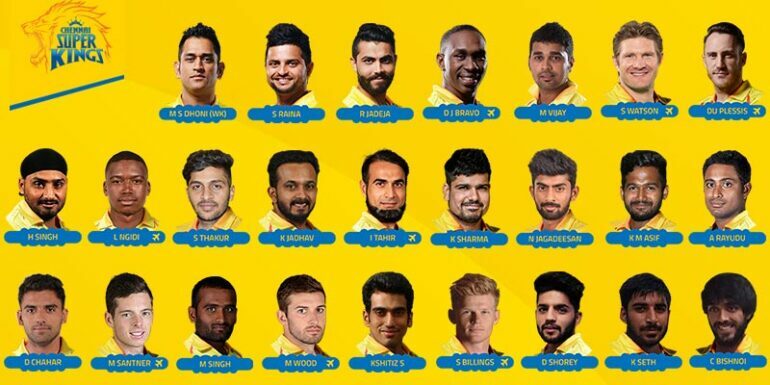 Have you checked out the IPL 2019 players list? So, what do you think? Which team can reach the finals? 1 Chennai Super Kings (CSK) Vs Royal Challengers Bangalore (RCB) 23rd March 2019 8:00 PM M.A.Chidambaram Chepauk Stadium, Chennai, Tamilnadu. 2 Kolkata Vs Hyderabad 24th March 2019 4:00 PM Eden Gardens Stadium Kolkata, West Bengal. 3 Mumbai Indians Vs Delhi Capitals 24th March 2019 8:00 PM Wankhede Stadium, Mumbai, Maharashtra. 18 Kolkata Knight Riders (KKR) vs Kings XI Punjab (KXIP) 13th April 2019 4:00 PM Eden Gardens Kolkata, West Bengal. 19 Royal Challengers Bangalore (RCB) Vs Delhi Daredevils (DD) 13th April 2019 8:00 PM Sheikh Zayed Cricket Stadium, Abu Dhabi. 20 Sun Risers Hyderabad (SRH) vs Chennai Super Kings (CSK) 14th April 2019 4:00 PM R.G.I. Cricket Stadium, Hyderabad, Telangana. 23 Mumbai Indians (MI) vs Sun Risers Hyderabad (SRH) 16th April 2019 8:00 PM Wankhede Stadium Mumbai, Maharashtra. 24 Royal Challengers Bangalore (RCB) vs Chennai Super Kings (CSK) 17th April 2019 8:00 PM M.Chinnaswamy Stadium, Bengaluru, Karnataka. 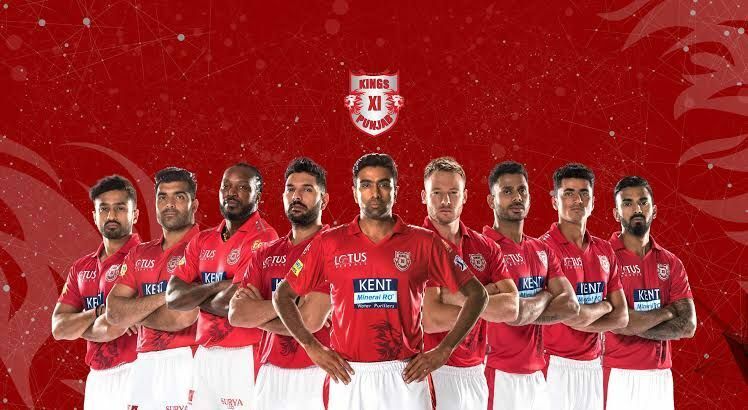 25 Sun Risers Hyderabad (SRH) vs Kings XI Punjab (KXIP) 18th April 2019 8:00 PM R.G.I. Cricket Stadium, Hyderabad, Telangana. 27 Chennai Super Kings (CSK) Vs Mumbai Indians (MI) 20th April 2019 4:00 PM M.A.Chidambaram Chepauk Stadium, Chennai, Tamilnadu. 29 Royal Challengers Bangalore (RCB) Vs Kolkata Knight Riders (KKR) 21st April 2019 4:00 PM M.Chinnaswamy Stadium, Bengaluru, Karnataka. 30 Chennai Super Kings (CSK) Vs Delhi Capitals (DC) 21st April 2019 8:00 PM M.A.Chidambaram Chepauk Stadium, Chennai, Tamilnadu. 31 Royal Challengers Bangalore (RCB) Vs Mumbai Indians (MI) 22nd April 2019 8:00 PM M.Chinnaswamy Stadium, Bengaluru, Karnataka. 33 Kolkata Knight Riders (KKR) Vs Chennai Super Kings (CSK) 24th April 2019 8:00 PM Eden Gardens Kolkata, West Bengal. 35 Chennai Super Kings (CSK) Vs Royal Challengers Bangalore (RCB) 26th April 2019 8:00 PM M.A.Chidambaram Chepauk Stadium, Chennai, Tamilnadu. 36 Sun Risers Hyderabad (SRH) Vs Delhi Capitals (DC) 27th April 2019 4:00 PM R.G.I. Cricket Stadium, Hyderabad, Telangana. 37 Mumbai Indians (MI) Vs Kolkata Knight Riders (KKR) 27th April 2019 8:00 PM Wankhede Stadium Mumbai, Maharashtra. 39 Sun Risers Hyderabad (SRH) Vs Royal Challengers Bangalore (RCB) 28th April 2019 8:00 PM R.G.I. Cricket Stadium, Hyderabad, Telangana. 41 Kolkata Knight Riders (KKR) Vs Mumbai Indians (MI) 30th April 2019 8:00 PM Eden Gardens Kolkata, West Bengal. 45 Delhi Capitals (DC) Vs Rajasthan Royals (RR) 4th May 2019 4:00 PM Sheikh Zayed Cricket Stadium, Abu Dhabi. 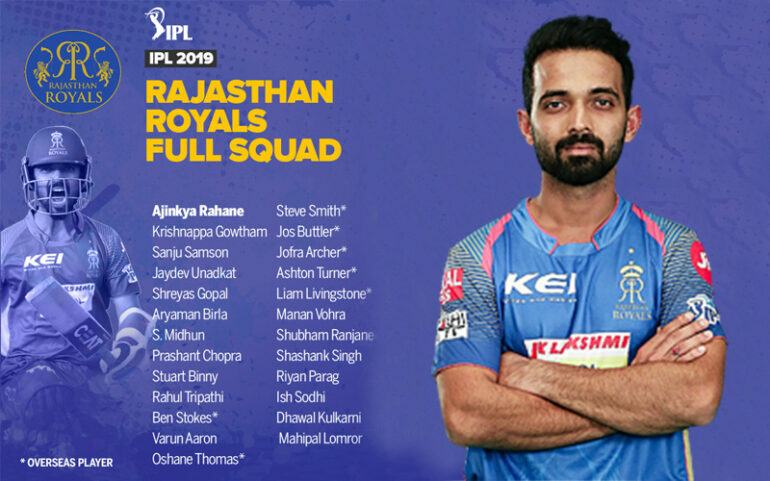 47 Mumbai Indians (MI) Vs Rajasthan Royals (RR) 5th May 2019 4:00 PM Wankhede Stadium Mumbai, Maharashtra. 48 Kolkata Knight Riders (KKR) Vs Sun Risers Hyderabad (SRH) 5th May 2019 8:00 PM Eden Gardens Kolkata, West Bengal. 49 Chennai Super Kings (CSK) Vs Mumbai Indians (MI) 6th May 2019 8:00 PM M.A.Chidambaram Chepauk Stadium, Chennai, Tamilnadu. 50 Kolkata Knight Riders (KKR) Vs Rajasthan Royals (RR) 7th May 2019 8:00 PM Eden Gardens Kolkata, West Bengal. 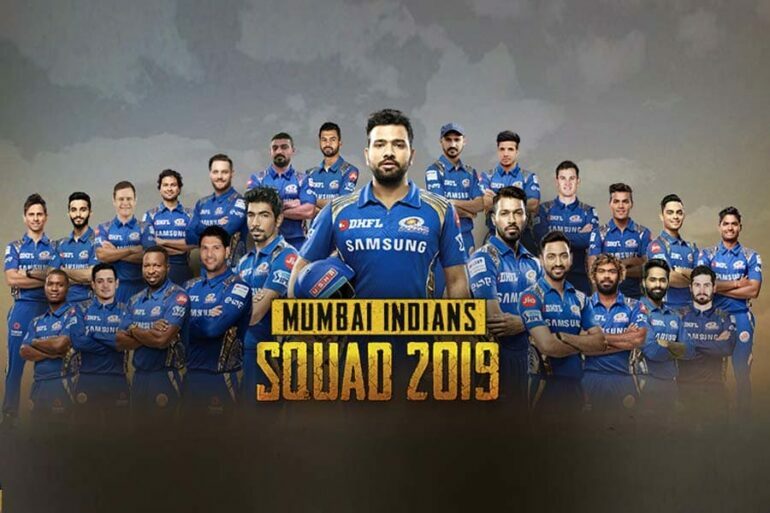 51 Mumbai Indians (MI) Vs Kings XI Punjab (KXIP) 8th May 2019 8:00 PM Wankhede Stadium Mumbai, Maharashtra. 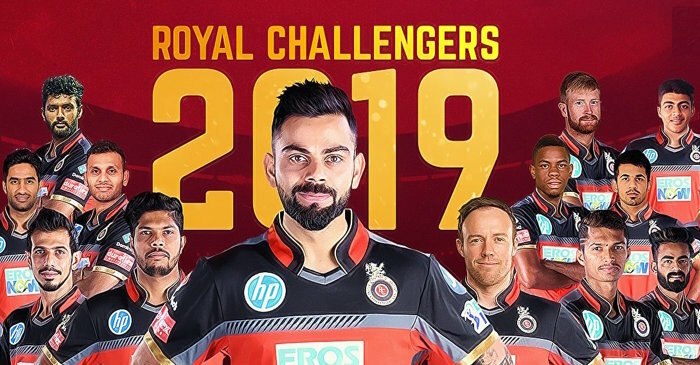 52 Royal Challengers Bangalore (RCB) Vs Rajasthan Royals (RR) 9th May 2019 8:00 PM M.Chinnaswamy Stadium, Bengaluru, Karnataka. 54 Royal Challengers Bangalore (RCB) Vs Sun Risers Hyderabad (SRH) 2nd May 2019 4:00 PM M.Chinnaswamy Stadium, Bengaluru, Karnataka. 55 Mumbai Indians (MI) Vs Kolkata Knight Riders (KKR) 2nd May 2019 8:00 PM Wankhede Stadium Mumbai, Maharashtra. 58 Mumbai Indians (MI) Vs Kings XI Punjab (KXIP) 4th May 2019 8:00 PM Wankhede Stadium Mumbai, Maharashtra. 59 Qualifier-1 6th May 2019 8:00 PM Eden Gardens Kolkata, West Bengal. 60 Eliminator 8th May 2019 8:00 PM M.Chinnaswamy Stadium, Bengaluru, Karnataka. 61 Qualifier-2 10th May 2019 8:00 PM M.A.Chidambaram Chepauk Stadium, Chennai, Tamilnadu. 62 FINAL 12th May 2019 8:00 PM Wankhede Stadium Mumbai, Maharashtra. Since 2008, each IPL season has been epic. Like each year, this year’s IPL is also going to be as interesting to watch. Here is the IPL 2019 time table, book the tickets for your favorite teams online today itself. Get ready to have some exciting evenings starting from today with CSK vs. RCB today at 8pm IST.